The Titan Barrel is a new take on the traditional barrel. A stainless steel shell with wood heads and internal staves, the Titan brings the benefits of both materials to wine and spirits. With a wide range of available woods and toast levels, the possibilities are limitless. The stainless-steel shells provides the reusable backbone for the wooden heads and staves. The wooden heads allow for the natural transfer of oxygen and the internal staves provide the desired flavor profile associated with a wooden barrel. Meet the Titan Tank, a 250-gallon stainless steel IBC with 5 wooden heads. Reduce space in your barrel room while still getting all the benefit of barrel aging with replaceable wooden heads reducing your overall cost of barreling by 1/5th . Meet the Titan Spirit Barrel, a stainless steel and wood barrel which changes how distilled spirits are aged. With mix and match woods and char levels within the same barrel to create a unique Titan Barrel you have ultimate control of how your spirits age! The Titan Super Staves aims to improve on current wood alternatives for the wine and spirits industry. There are a number of options and customization available with allowing you to control how fast extraction and flavor profiles are happening. With the choices of wide range of innovated customizable 750 ml small barrels to 59 US Gallons barrels will easily fit any size of your business need. Produce the same quality Wine & Spirit for a significantly Lower Cost. 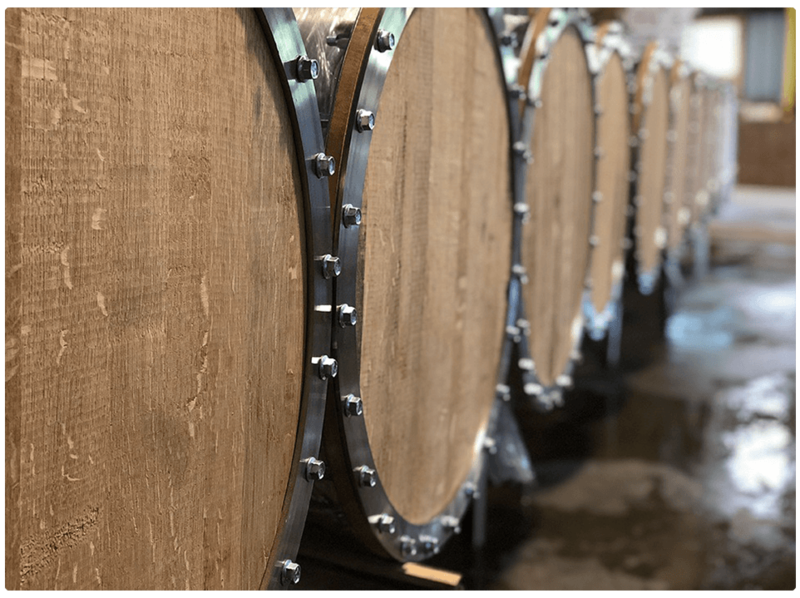 The Titan Barrel was developed to give winemakers, distillers, brewers, and anyone else who barrel age’s options and abilities not previously available. COPYRIGHT 2018 TITAN BARREL WORKS LLC. ALL RIGHTS RESERVED.